We provide Educational Workshops on various topics for school students like Mobile Robotics Workshop, Circuit Designing, Aeromodelling etc. Our Workshops are always a fun-learning workshops for all the participants. 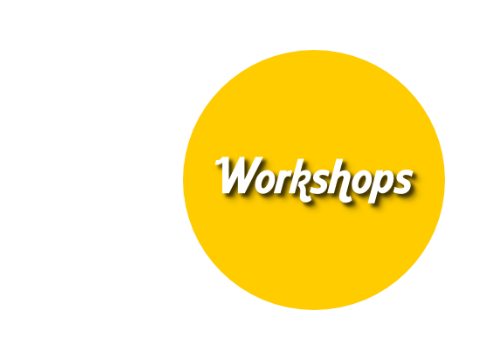 We Provide Educational Workshops on various topics like Robotics, Ethical Hacking, Automation, AI, Machine Learning, Big Data, Data Analytics, Automobile Mechanics, Android, Embedded, Cloud Computing, 3D Animation, MATLAB, Birdge Design and more than 100+ Workshops Available. Get an IIT Certificate for Any Workshop. 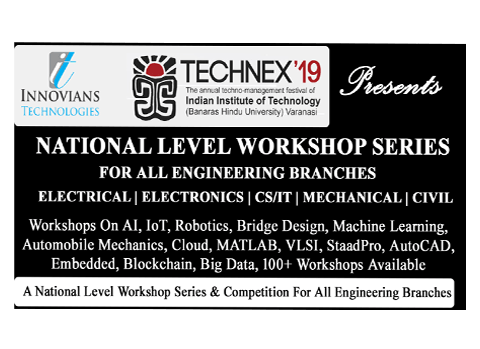 Innovians Technologies in association with TECHNEX, IIT VARANASI presents Natioanl Level Workshop Outreach & Competition for all Engineering Branches Workshop. 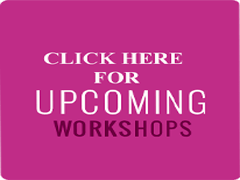 Make your college as Zonal Center for these Workshops. 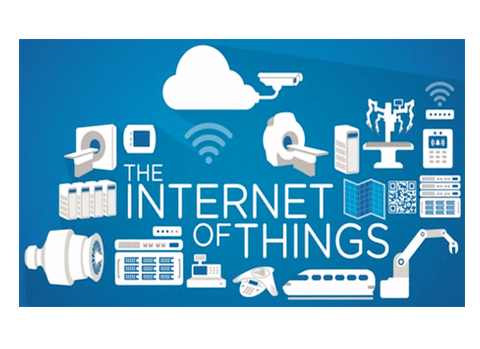 IoT Workshops are the premier workshop series & competition on The Internet of Things organized by Innovians Technologies. Make your college as Zonal Centre for this Workshop. 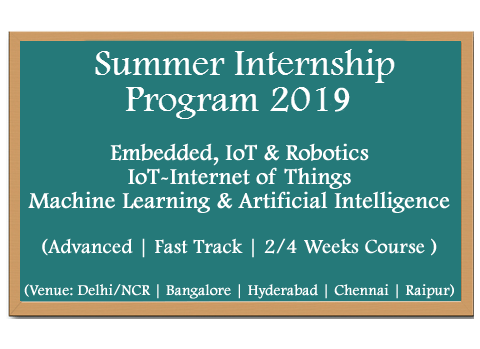 Register Now for 2 Weeks/4 Weeks fasttrack summer training on "IoT-Internet of Things", "Embedded, IoT & Robotics", "Machine Learning (ML) & Artificial Intelligence (AI)". Or organise these training in your college campus. 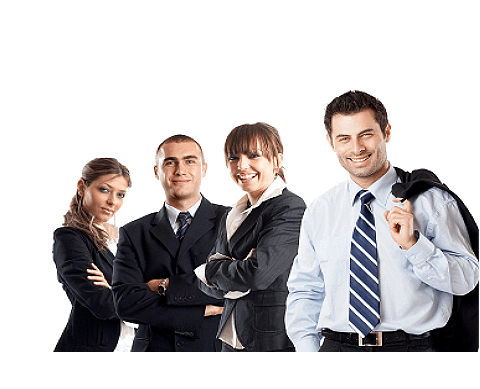 Our Corporate Training programs encompass a wide range of skills, which ranges from Motivational Seminar, Faculty/Staff Development Training, 5S Training, Personality Development, Professional Skills Training and Foreign Languages. 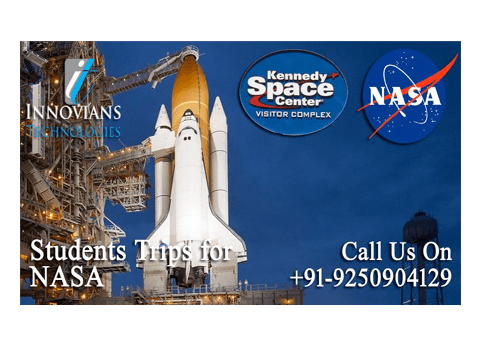 Innovians Technologies presents exciting educational trip to NASA (Kennedy Space Centre) for School and College Students. Organize the NASA Trip with us for best experience for your students. * Hands-On Training with the Expert Trainers. * We believe in Learning with Fun! * 1000+ Satisfied Institutes & Organizations . * 50+ International Workshops in 5 Countries. * Practical exposure during all workshops.